Be fully informed & safe. Not just a quick fix! good for your hair long term. Top of the Range Products. 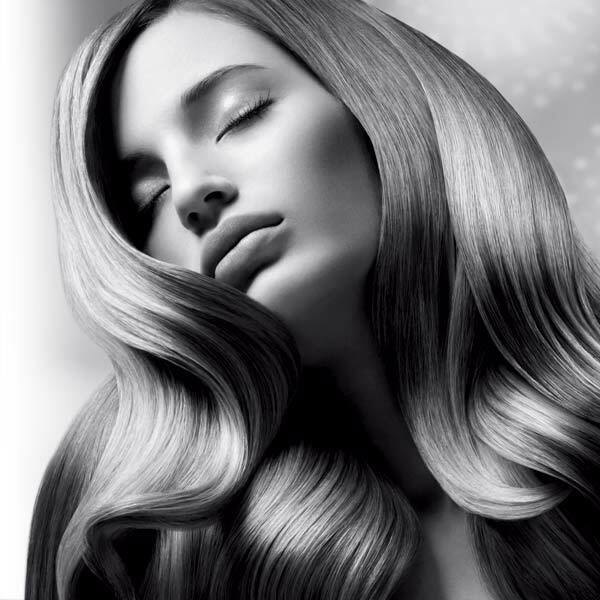 Are you a regular Cut & Colour Client at Purity? 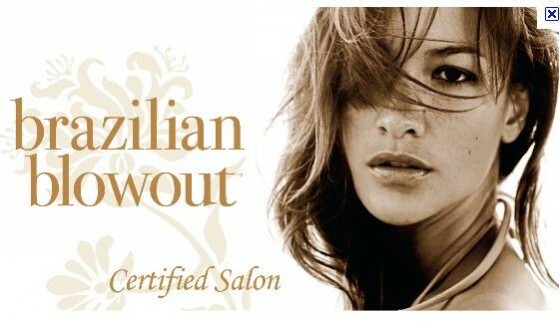 ... receive an amazing £40 off your BlowOut!! We often have fantastic offers & always have a great Client Referral Rewards Scheme. Finally Win The Humidity Battle! 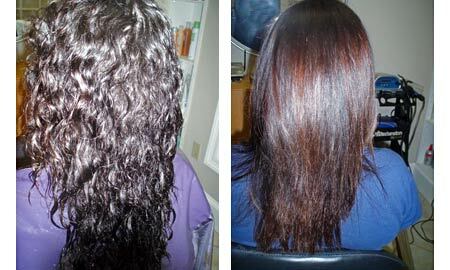 Before, our model has naturally curly hair that requires straightening every day. She also has some highlights scattered throughout. Shampoo & treat hair to gently cleanse with Pre-Treatment Shampoo to open up the hair shaft and soften the hair in readiness for the treatment. The Soloution is then applied to your hair. 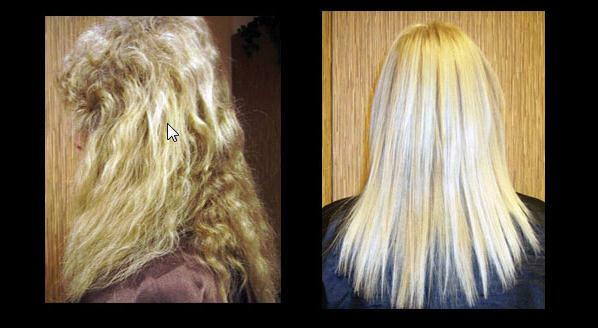 We then blow dry the treatment into your hair. 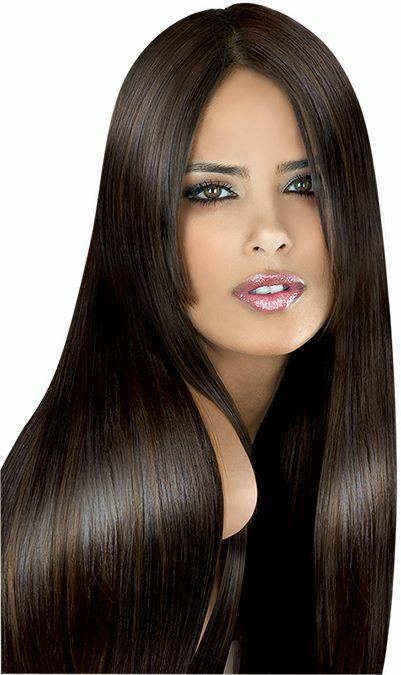 Hair is straightened with irons up to 8 times on each section to acheive the desired look. Hair is then given one final shampoo condition. Hair is then blow dried & straightened once again. 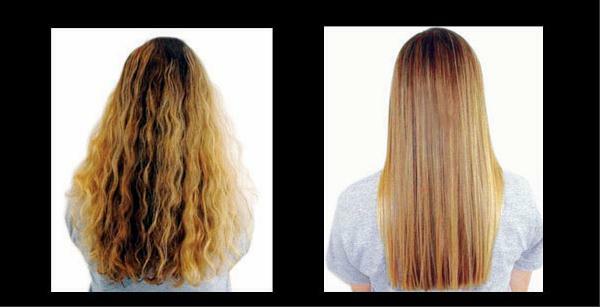 The finished result is beautifully same day conditioned, healthy and shiny, straight hair, which can be kept salon perfect by the client for up to four months.